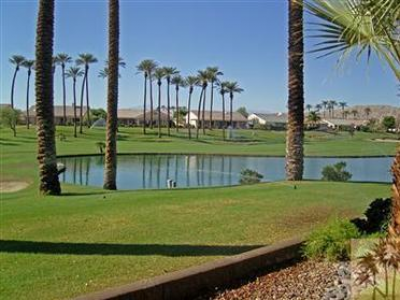 If you are looking for the epitome of self contained adult living, choose Sun City Palm Desert. This community offers everything necessary for an active lifestyle within walking distance of your home. The homes themselves are beautifully designed and built in the style of Spanish Colonial. Being a gated community, privacy and security are inherent and assured. Whether you’re interested in golf, tennis, fitness, or social activities, Sun City Palm Desert has you covered. The spectacular setting of the community and the people alone is enough to make you want to move right in. For starters, there are two championship regulation golf courses designed by golf legend Billy Caspar, along with Greg Nash, which are open seven days a week. You can book your tee time right on line! If tennis is your sport, Sun City Palm Desert can accommodate you as well. There are three recreation centers to keep you busy throughout the community. If you wish, you can take a leisurely dip, or do some serious lap time in the Olympic sized pool. Whatever, your county club passion, Sun City Palm Desert can indulge you. For those with specific hobbies, there are 60 chartered clubs and resident groups you can join. Of course, it can’t always be fun and games, so when it’s time to run errands don’t plan on going too far. Everything you need is in right inside the community at Sun City Palm Desert. Sun City has its own full service post office; you even get your own zip code at Sun City Palm Desert! There is even a library right on site. Imagine all this right outside your door. The real clincher for most people who move into Sun City Palm Desert is the social life. The community has so much to offer. Eat with friends at any of the three restaurants. Enjoy goof times at the karaoke bar. Or, take in a show or concert at the theatre. You can also participate in lectures, seminars, and special occasions at the auditorium. Sun City Palm Desert is legendary for their gals, balls, and parties all hosted in the Sierra ballroom where you will be well attended to by Sun City Palm Desert staff. To keep track of activities just turn on your TV and watch either one of two local access channels, or check out the online calendar. Come check out your new home! If you would like to see property at Sun City Palm Desert, please call us at the numbers below. Were committed to helping you find the home of your dreams.